Faculty of Humanities and Social Sciences has recently launched a new textbook “Translation I” written by Dr. Yongyut Khamkhong, who has been teaching translation for over five years at St. Theresa International College. The book is 175 pages long, containing 14 chapters. Topics are designed to suit the needs of students taking courses relating to the Fundamentals of Translation. 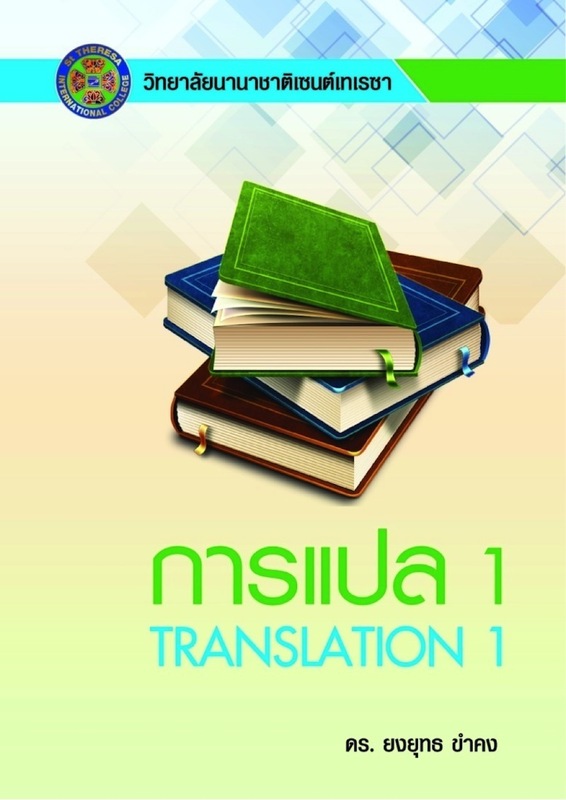 Topics include: the history of translation in Thailand, translation methods, problems in translation, specialized words in politics and royally-related news, and also the transcription of Thai characters into Roman and vice versa. The Translation I course is part of the curriculum of students from the Faculty of Education and English for Business Communication. Students of other majors can take it as an elective course. St. Theresa International College has been encouraging and sponsoring all faculty members to write textbooks under the scope of their teaching and personal interest, in order to help enhance the quality of teaching and learning, and in the meantime, continuously improving the teacher’s professional capacity.